Our clients here are a young family. 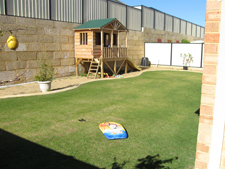 A large lawn area with play areas for children as well as interest in the garden for the grown-ups here were the key priorities.The clients had a flat yard with a well maintained lawn area. 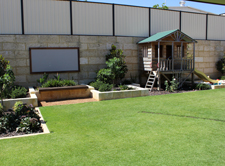 It was important that the bulk of the lawn area was retained and that the existing cubby house was incorporated into the newly updated garden. 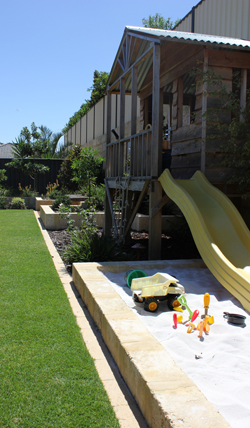 A lush tropical feel was desired so plants with dominant lush looking foliage were utilised to achieve this. 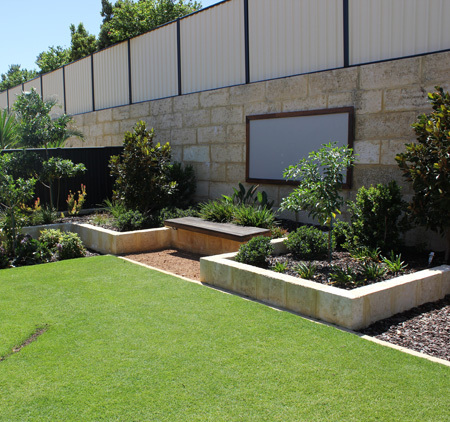 Mostly evergreen trees were used including Hymenosporum flavum (Native Frangipani) and Magnolia 'Little Gem'. A range of small foliage plants provide a variety of foliage textures and colours and most importantly a soft lush look. 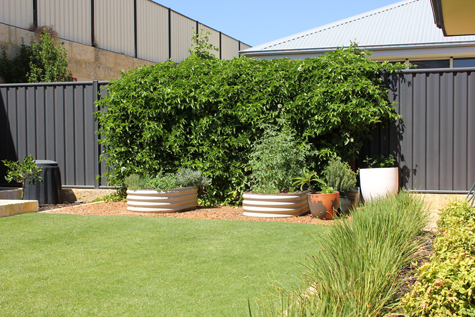 The garden also includes a small productive area including passionfruit vines - a family favourite! And a jarrah bench seat to sit out in the garden.